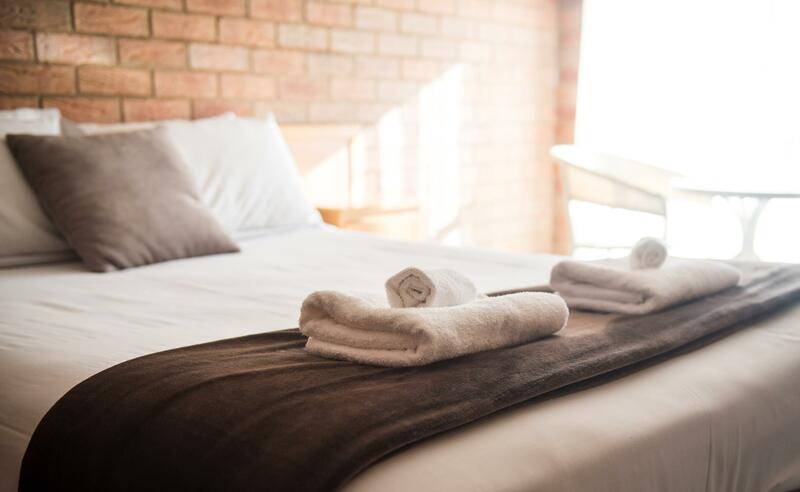 سواءً كنت مسافراً بغرض السياحة أو العمل, Moama Motel هو خيار عظيم للإقامة خلال زيارتك مواما. يمكن من هنا للضيوف الاستمتاع بسهولة الوصول إلى كل ما تقدمه هذه المدينة النابضة بالحياة. يوفر الفندق بفضل موقعة الجيد وصولاً سهلاً إلى أهم معالم المدينة.
. إن الخدمات التي يقدمها Moama Motel تضمن للنزلاء إقامة مريحة. يقدم هذا الفندق العديد من الخدمات الكفيلة بإرضاء أكثر الضيوف تطلباً. في Moama Motel غرف نوم يزيد عددها عن 20 صممت بذوق وعناية لتوفر لك كل وسائل الراحة . بعضها يحتوي أضاً على تلفزيون بشاشة مسطحة, اتصال لاسلكي بالإنترنت, غرف لغير المدخنين, مكيف هواء, ميني بار. كما أن مجموعة الخدمات الواسعة الموجودة في الفندق لضمان راحتك تترك لك الكثير من الخيارات لقضاء وقتك أثناء فترة إقامتك. استمتع بخدمات لا يعلى عليها وعنوان ذو اعتبار في Moama Motel . Very clean, quiet motel, except that aircon was very loud in the night. Bed was comfortable and room was clean. Check in is opposite at the pub, which also serves a very good meal. Would stay here again, but would ask for room without noisy aicon. Great place! Easy access to the Moama Bowls Club. Clean and comfortable! It was one of the worst hotels. The staff were very rude. First they lied about the room price when i called them to check availability and asked about price and said that i found their price cheaper online the staff said it is not correct online. I ignored them and booked the room online. And then when i went to take the room they said i have to check out before 9 am although in agoda it said the checkout is 10.30 am but they said if i didn't leave by 9 am the cleaning staff will get me out from the room. Very rude. I ignored them and nothing happened in the morning it was just rude staff. The room and linen were clean. We found it very noisy because other near room doors squeaked very loud and could hear doors banging shut in different rooms. Shower flooded into carpeted area. Power switch in bathroom crackled when switching on & off. We were glad to head home. Adequate but not classy. In the bathroom cement sheeting below hand basin was broken. Rooms some were small. Can hear people in room next door. Overall the stay was lovely however we weren't given any towels. I think it was a minor oversight. Other than that the hotel's food across the road was excellent. 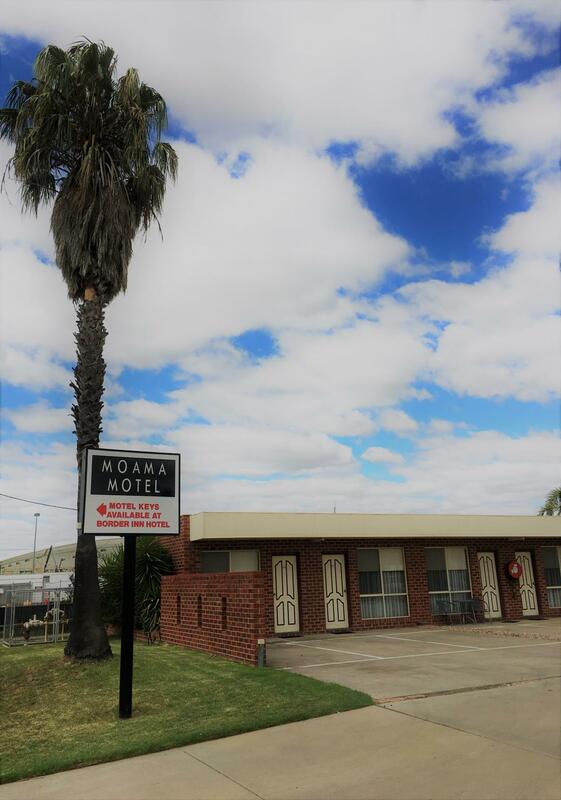 We enjoyed our stay at Moama, the location was perfect, it was close to all the main entertainment venues and shops, was clean and comfortable and it also had a swimming pool. Crap the sink was blocked the air conditioner was for heating coldest room ive stayed in and im not fussy....they put us in the border inn which is hotel accommodation not the moama motel which belong to same establishment but across road. The venue was enhanced in the pictures. During the busy Australia Day weekend we were sandwiched between groups of young people who were drinking heavily on the balcony outside our rooms. By 2am we lost patience and had to ask them to stop the swearing and yelling. Very unpleasant. It was a good one night stay on a budget. Frendily service. friendly staff, cleanliness, closeness to everything. perfect. Exactly what we were looking for and location and friendly staff. Great as long as u don't get the room under the stairs, it can get noisy.